VATICAN CITY (CNS) — Pope Francis sent condolences to Guatemala after a horrific volcanic eruption left more than 60 people dead. According to the Vatican newspaper, “L’Osservatore Romano,” Guatemala’s National Institute of Forensic Studies said only 17 victims had been identified as of June 5. Scientists will have to rely on DNA to identify victims disfigured by burning embers and hot lava. 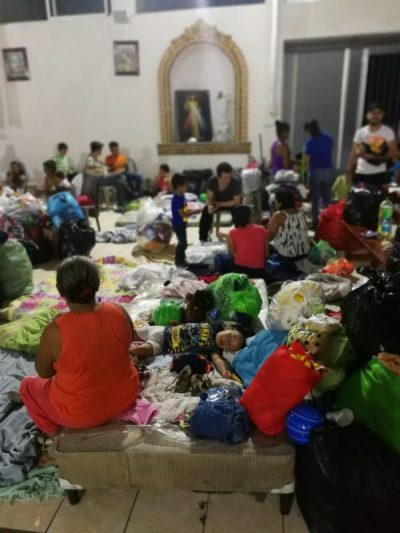 “People here in Escuintla have lost everything, family members, homes, crops, their animals,” Luis Rolando Sanchez, Catholic Relief Services’ emergency coordinator for Latin America, said in a message to agency staff in Baltimore. He said residents from the affected communities had “lined up all day” June 4 at shelters and collections centers for food and basic needs. “Many of them were missing family members,” he said. “More help will be needed in coming days, especially once we know the extent of the impact,” Sanchez continued. “At one of the shelters, the number of people had doubled by Monday night (June 4) and the number of deaths is increasing. Affected communities face the drama of losing family. “I talked to a woman with three daughters, one of them a newborn barely 27 days old. They, along with her three nieces, survived. Her sister and husband were buried in the eruption. There will be many orphans and widows,” Sanchez said. The agency is accepting donations for the emergency here.